Should you get a Pocket WiFi or a Sim Card? A couple years ago, when I was traveled to Australia, I bought a local sim card at the airport for about $20 USD to use over seven days. At the time it was barely enough for me to use Google Maps and search things to do and places to visit with the capped data plan. For my trip to Japan, I opted to rent a pocket WiFi instead of getting a sim card. When you are traveling with multiple people, everyone can tether to the pocket WiFi whereas with a sim card only one phone is able to connect to internet. In addition, you can get unlimited data plans for the duration of your trip. 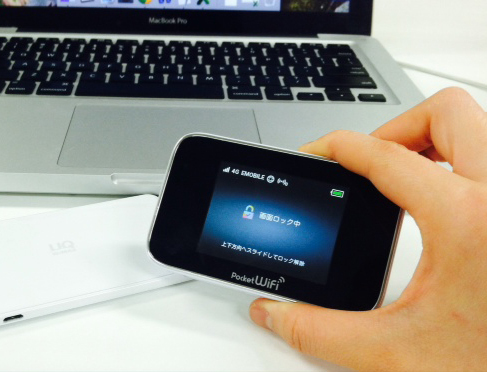 The cost of a pocket WiFi for seven days in Japan was about $50 USD. WiFi is definitely necessary when traveling in Japan because there is not free WiFi everywhere. The subway and metro systems in Japan are extremely complicated, but Google maps will tell you which lines to take and transfer at, if necessary. Before my trip to Japan, we reserved our pocket WiFi with HISGO. The great thing about this is that the company will mail the pocket WiFi to your first hotel or hostel destination. From there you just pick up the WiFi at the hotel or hostel reception. Towards the end of the trip, all you have to do is put the WiFi with its charger in the pre-stamped envelope and drop it off in a mailbox at the airport. We had no issues with the WiFi and the pocket WiFi itself easily lasts the whole day on a single charge. In Japan, the railway, subway, and public transit systems are run by several different companies. The JR line is one of the companies that allows foreigners to purchase an unlimited transit pass good for multiple days. While the JR pass will not let you travel freely on all rail lines, JR is one of the bigger rail companies. Though you can buy the pass in Japan, it is highly recommended that you do so before arriving. It will definitely cost you more to buy the JR pass in Japan. For about $255 you can travel on JR lines for seven days. They also have longer term options. For example, traveling from Tokyo to Osaka on a normal priced JR ticket will cost you at least $200 round trip. You definitely save money with the JR pass that is only exclusive to foreigners. The pass gets you access to the speed trains and all the local lines on the JR. 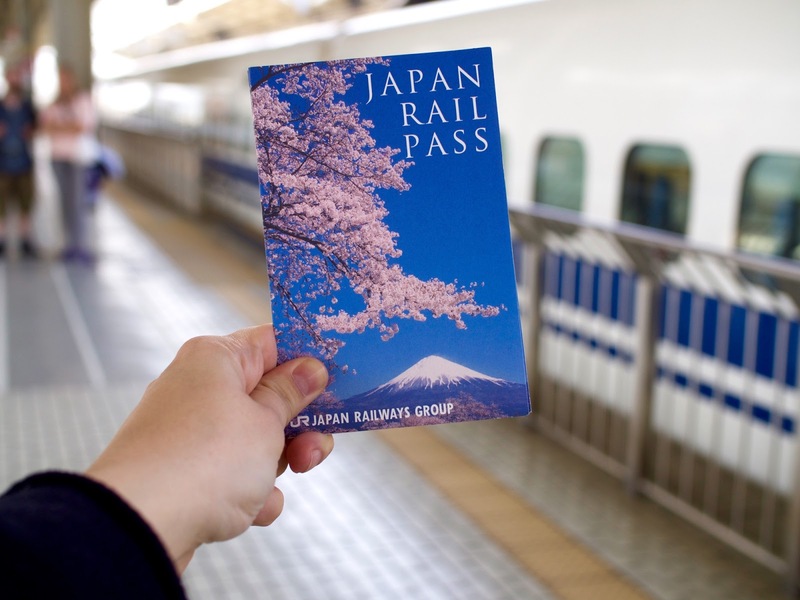 When you buy the JR pass it is recommended that you activate it upon your arrival at the Narita or Haneda airports. There should be information desks where they can help you with that. They are able to change the start date of the pass and offer any other travel tips. For example, say you want the pass to start on your second day of the stay in Japan instead of the first because you don't feel like you will be using it the first day. Another tip when traveling from city to city is to get seat reservations at least a day in advance. For most JR bullet trains (Shinkansen) there is a section of the train for reserved seating and non-reserved seating. If you don't reserve your seat at the train station, then you might be forced to stand for long periods of time. For example, Tokyo to Osaka is about a 4 hour train ride. Use Google Maps to figure out which train you will be taking and at what time. That way the attendant can make seat reservations for you. What they will do is put a stamp on your JR pass for your seat reservation and give you a ticket. It probably took us about ten minutes from waiting in line to getting the seat reservation. Best of all, it is free to make reservations. Highly recommended to do so. Make reservations prior to arriving in Japan. My friends and I are big fans of whiskey. The famous Yamazaki distillery is on the way to Osaka from Tokyo. Make sure to make reservation in advance for the self-guided tour or about guided tour. For the guided tour, I think you should make reservations at least three months in advance. They fill up fast. It is definitely worth it if you are a whiskey fan. It's a small visitor center, but they have a whiskey tasting section. They have a list of whiskeys that they don't sell to the general public that you can taste. It is super affordable. For example, we tried 3 different whiskeys. A 15 year Yamazaki, 17 year Hibiki and 12 year Hibiki tasting cost less than $10 USD. To get to the Yamazaki distillery is very easy. Just take the JR line to the JR Yamazaki Station and make a right when you get out of the station. From there follow the Yamazaki signs for about ten minutes. You'll then be brought past some rail tracks and on to the distillery campus. Better to Fly into Haneda or Narita? If you are planning to go to Tokyo, which I assume you are, then it is better to fly in to Haneda Airport than Narita Airport. The reason is because Narita is about 2 hours by rail away from Tokyo proper, Japan. Haneda is about an hour via rail from Tokyo proper. 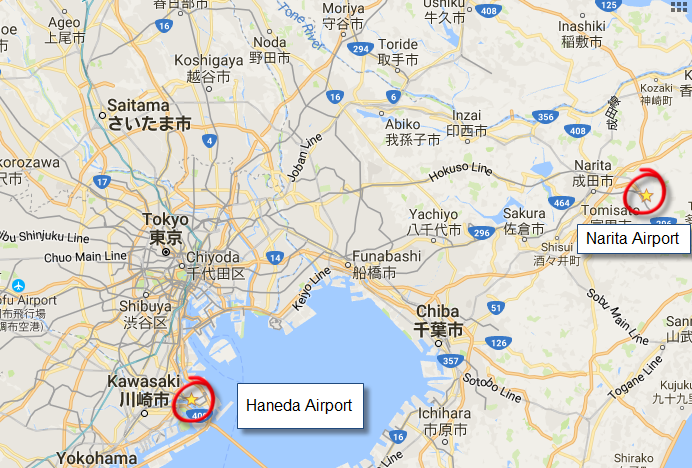 Haneda Airport is even closer if you decided to stay on the outskirts of Tokyo. You'll want to spend as much time vacationing as possible versus having to deal with transit times. Where is the best place to exchange your US dollar to Japanese Yen? 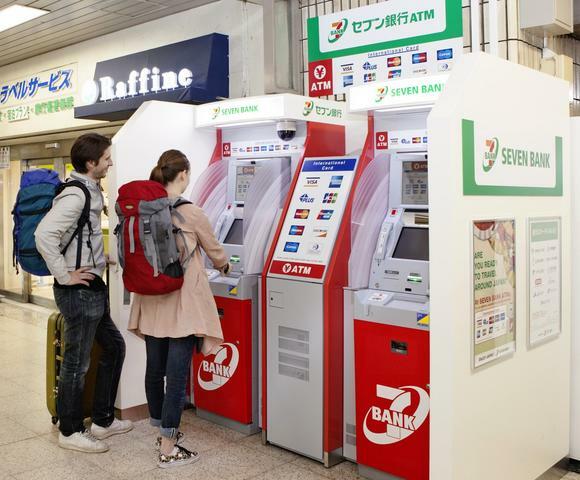 From my personal experience, the 7 bank or 7-11 ATMs in Japan do not charge withdrawal or foreign exchange fees on foreign cards. Your bank may charge you fees, but if you use the Capital 360 Mastercard debit card there are no fees. When I arrived at the Haneda airport, I went straight to a 7 bank ATM and withdrew money without being charged a fee. The great thing about this is that it automatically converts your USD to Japanese Yen at the current exchange rate.